Monday 20 March 2017 was Norooz, Iranian New Year signifying peace and hope. It signified 6 years since 77 year old Kamal Foroughi had seen his daughter, son and two granddaughters. 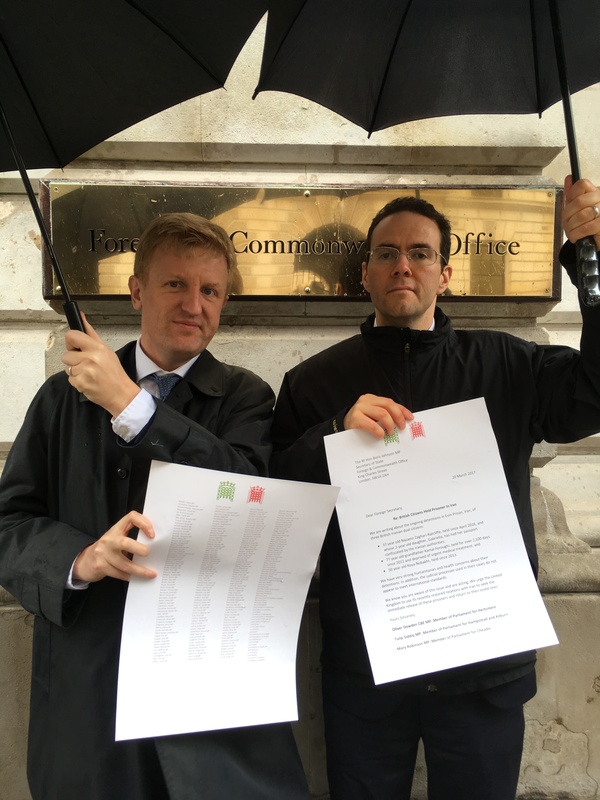 To mark this sad day, his son Kamran delivered a letter to the Foreign Office addressed to the Foreign Secretary Boris Johnson, where 219 MPs and 42 peers co-signed a letter seeking the release of Grandpa Kamal and two other British citizens held in Iran. 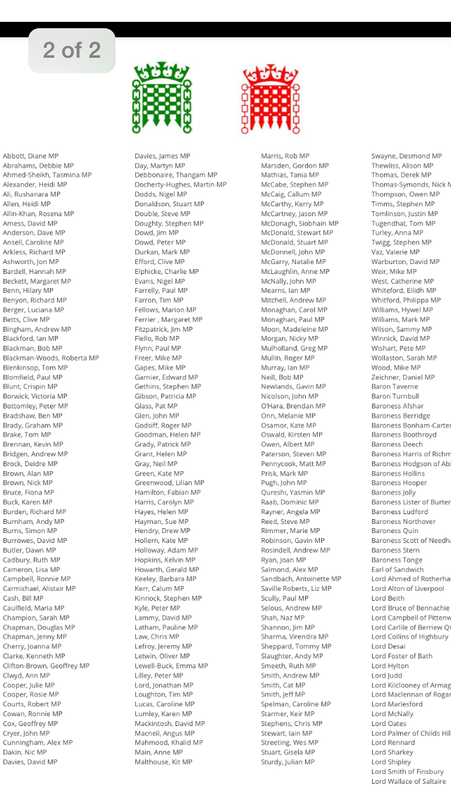 Interested in whether your MP has signed the letter? Please see attached photos and pdf. Amnesty International has launched a new urgent action appeal for Kamal in English, Arabic, French and Spanish. Amnesty International says that Kamal Foroughi, a 77-year-old British-Iranian man jailed in Tehran’s Evin Prison, has developed cataracts in both his eyes. He may be at risk of losing his eyesight unless he is given access to adequate specialized medical treatment, including cataract surgery. 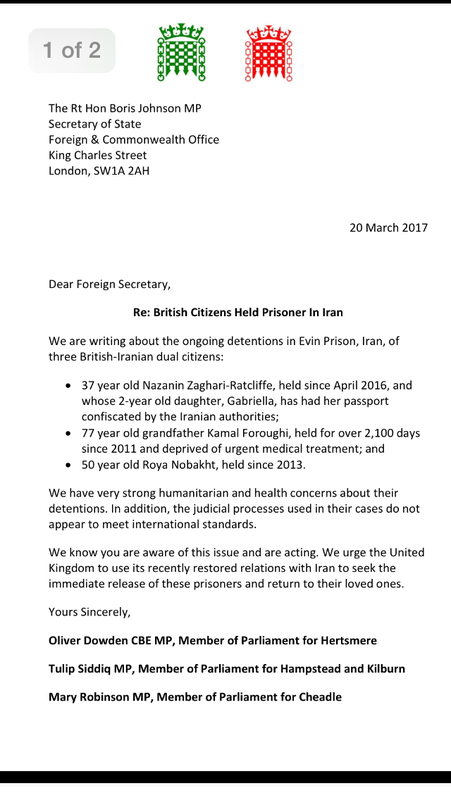 It asks Iran to let 76yr old Grandpa Kamal come home from Evin Prison Iran to his family in the UK. Your signature will make a big difference to our lives and is much appreciated. Please encourage your friends to sign as well and share on Facebook. Kamran, Kamal’s son, spoke live to channel 4 news on the 5th January 2016. To mark 77 year old Grandpa Kamal’s 2,000th day in Evin prison, Kamran was interviewed by Kayhan London about his father’s plight. Letters to the new Iranian Ambassador to the UK and to Iran’s Supreme Leader Ayatollah Khamenei, President Dr. Hassan Rouhani and Head of the Judiciary Ayatollah Sadeq Larijani asking for clemency on compassionate grounds in light of new revelations about Kamal’s eyesight. On 1st September we held another peaceful protest outside the Iranian embassy London to mark Grandpa Kamal’s 77th birthday and breaking the record for the length of time a European citizen has ever been detained in Iran. 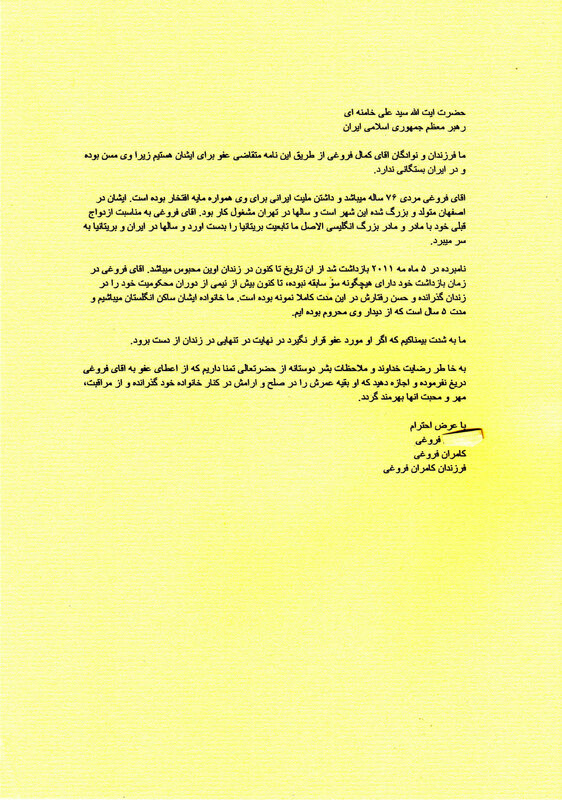 To mark Ramadan, a letter dated 29 February 2016 to Iran’s Supreme Leader Ayatollah Khamenei has just been published in English and farsi. 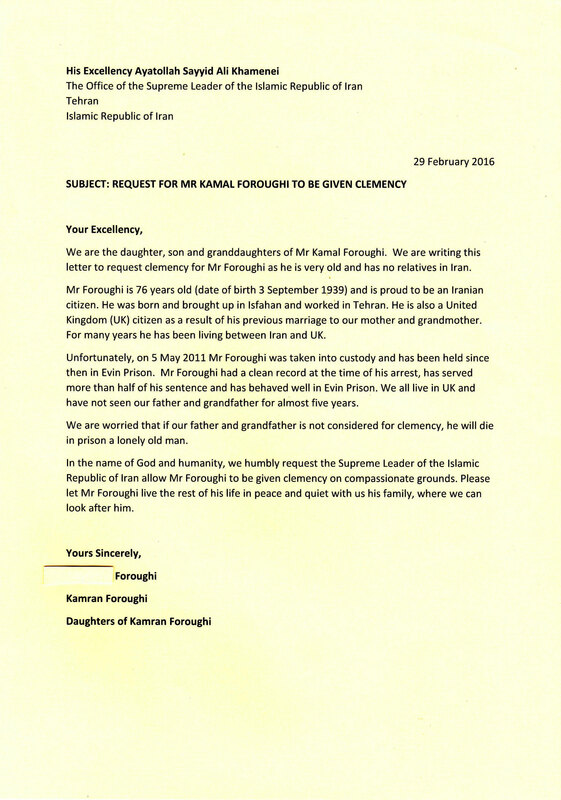 In this letter Grandpa Kamal’s daughter, son and two granddaughters ask the Supreme Leader to release 76 year old Grandpa Kamal on clemency grounds, after his long detention in Evin prison. There has been no reply to date.